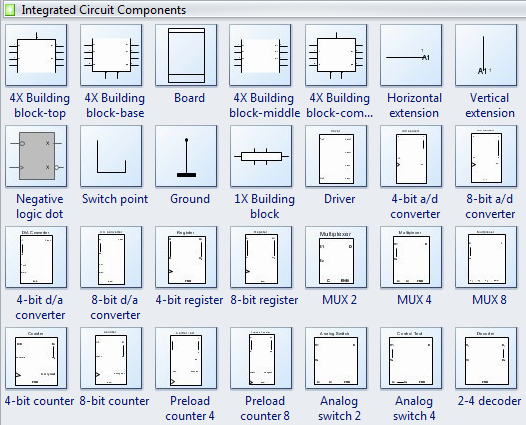 Easy-to-use integrated circuit schematics software helps create professional-looking circuit schematics based on standard circuit symbols - with no drawing required. Edraw will assist you in drawing integrated circuit schematics with minimal effort and makes it very easy for beginners. Built-in integrated circuit symbols and smart connectors help to design a variety of integrated circuit schematics, electrical schematic and wiring diagrams in minutes. Every integrated circuit symbol can configure with the data of sections, number of inputs and outputs, number of top pins and base pins. Discover why Edraw Software is a wise choice to design integrated circuit diagrams. Try Edraw Max FREE.